Journalists help promote Hollywood celebrities while condemning average Americans for causing climate change. 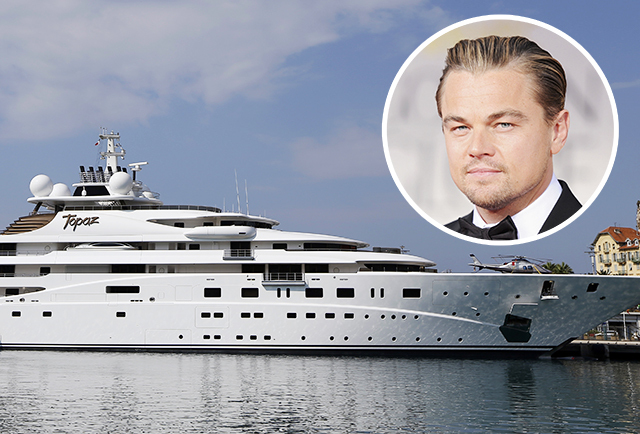 The same media go out of their way to ignore or excuse the hypocrisy of celebrity “environmentalists” who fly their private jets around the world, rent mega-yachts and live in massive mansions. Media Outlets Give a Platform to Celebrities: Actors aren’t climate scientists. But when any of the 12 celebrities makes a statement about climate change, the media are quick to promote them. Whether it was DiCaprio’s UN speech calling for more regulations on businesses, or Cameron Diaz’s PSA asking average people to curb their carbon output, print and broadcast media eagerly rushed to interview them. In the last six months of 2014 alone, ABC, CBS and NBC interviewed these specific celebrities 25 times. Overwhelmingly Positive Network Coverage: Not once during the 25 interviews on ABC, CBS and NBC in 2014 did the networks suggest that the celebrities’ lavish lifestyles might disqualify them from lecturing others. Instead, they have referred to them as “incredibly committed,” “responsible” and praised them for “promoting the cause” of combatting climate change. Media Take Outrageous Claims Seriously: Cameron said “I believe in ecoterrorism,” and Entertainment Weekly didn’t bat an eye. Arianna Huffington said that SUV owners were funding terrorism, and then claimed she meant it as satire and no one objected. Yet, none of these claims were even mentioned on the broadcast networks that hyped the eco-activism of these celebrities, and they were still touted as credible voices for change. MRC Business has the following recommendations for journalists who are reporting on the environmental activism or philanthropy of celebrities. Treat Celebrities Honestly: Celebrities may be famous, but that doesn’t mean that they should automatically get a platform to promote their eco-agenda. Journalists need to recognize that just because someone is well known, doesn’t mean they are well informed. Statements made by celebrities should be evaluated with the same scrutiny as statements given by anyone else. Don’t Pick and Choose the News: The Society of Professional Journalists Code of Ethics states that journalists should “support the open exchange of views, even views they find repugnant.” It is incumbent upon journalists to analyze the background for groups and individuals on both ends of the political spectrum. Do Some Genuine Journalism and Investigate Celebrity Climate Change Alarmists: Journalists can’t afford to be starstruck. Media outlets should hold celebrities accountable for their actions, and not turn a blind eye when a celebrity’s lifestyle contradicts his or her message. 1. Do you think this report is an example of media bias? If so, what type? If not, why not? 2. Why do you think the media does not point out the hypocrisy of environmentalist celebrities who do not practice what they preach? 1. Yes, this is bias by spin, omission and story selection.